Neutral stance with feet hip width to shoulder width apart on top of the box. 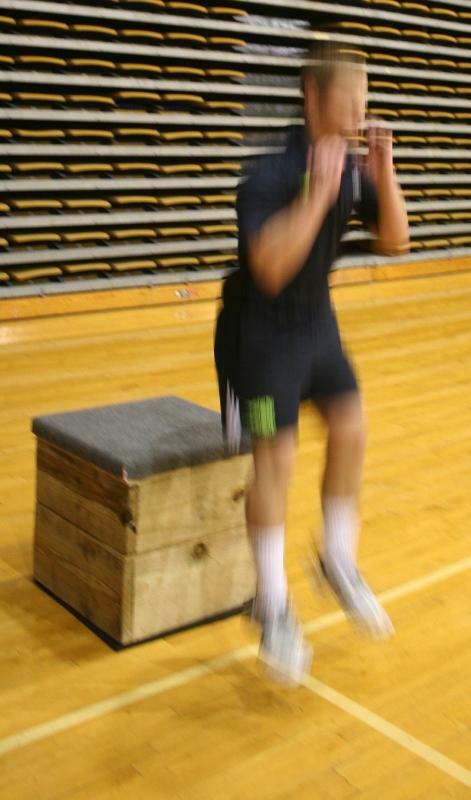 A box no higher than 18 inches should be used for this exercise due to safety reasons and to the fact that the movement would be slowed down to an extent that it would no longer constitute as a plyometric/ballistic for increasing power. A step should be taken off the box (not a jump), and when landing both feet should contact the floor simultaneously. 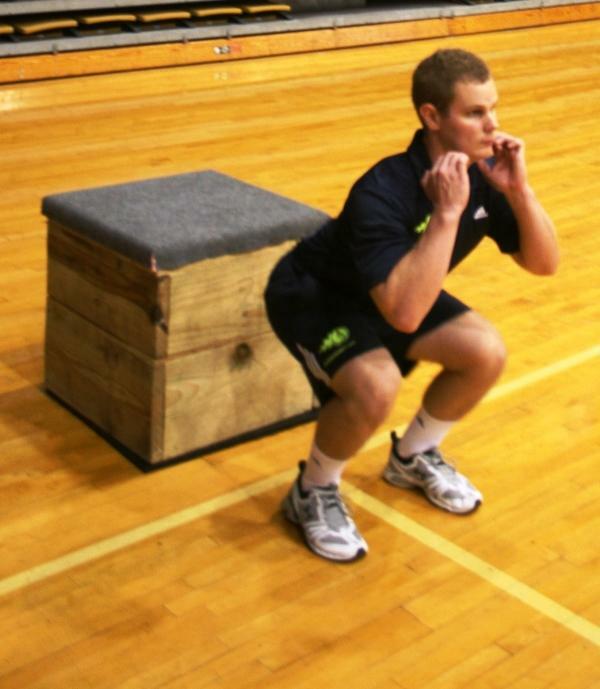 The landing should be absorbed by dropping into a ¼ - ½ squat with proper form; with a rapid vertical jump to follow. The height of the jump may be increased in many individuals if a visual stimulus is provided for them to reach for; such as a ball thrown high to catch, or a marking positioned high on a wall. During the advanced version the arms remain straight (no arm movement) hence not generating momentum.